Brunson, Barnett and Sherrer advises companies across a broad range of industries on data protection and privacy laws. Brunson, Barnett and Sherrer have experienced lawyers who are well versed in the rapidly evolving area of cybersecurity and data privacy. We work to protect companies both before and after a data breach. This includes helping companies develop or improve data privacy practices and incident response plans through privacy and security assessments, in order to minimize the risk of a data breach and to put the company in the best position to respond if a breach occurs. Whether it’s complying with the variety of government regulations, preparing for and responding to cyber attacks, satisfying auditors, or meeting the data security requirements of your business partners, Brunson, Barnett & Sherrer’s cybersecurity and data privacy team has the experience necessary to successfully advise our clients. Cyber attacks have evolved rapidly over the years to include nation-states seeking political or industrial advantages; independent groups such as Anonymous or Wikileaks looking to publically expose weaknesses or embarrass organizations or individuals; organized crime rings stealing financial information; competitors attempting to steal corporate intelligence, and even employees seeking to commit fraud or to engage in social activism by publicly exposing corporation’s proprietary information and secrets. Responsible management of cyber risks requires a complex strategy commensurate with the magnitude of the ever evolving threat. This includes traditional risk management techniques, sound corporate governance, adequate insurance, proper contractual language, robust control structures, regular auditing, and compliance management. This is in addition to the need for companies to understand and implement fundamental technical security measures to proactively protect their data. 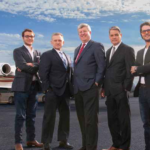 Brunson, Barnett & Sherrer’s multidisciplinary team of cyber-savvy attorneys assists our clients in protecting their property and reputations from these unprecedented and evolving challenges. We offer a privileged relationship through which our clients can identify and manage all of their security risks, protect their digital assets, and quickly respond to cyber threats while protecting their efforts from discovery or public disclosure. In recent years, data privacy and security have taken center stage in many industries. A thorny network of data privacy and security laws govern the use, disclosure, and safekeeping of personally identifiable information and impact the core of business success and failure with an ever-increasing enforcement focus. At Brunson, Barnett and Sherrer, our attorneys routinely provide legal counsel to clients engaged in activities that may raise data privacy and security concerns, including, but not limited to, general online business, managing cardholder data, processing healthcare information, behavioral and targeted advertising, telemarketing, mass email campaigns, clinical research, consumer marketing, or human resources management. We also represent clients that partner with such businesses and need access to such data as part of their partnership, as well as lenders and private equity firms that interface with these companies, including business associates.